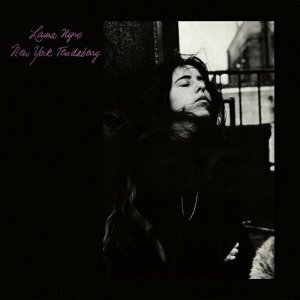 New York Tendaberry is the third album by New York City-born singer, songwriter and pianist Laura Nyro. It was released in the autumn of 1969 on Columbia Records, some eighteen months after its predecessor, Eli and the Thirteenth Confession. The album is generally considered by rock critics and Laura Nyro aficionados to be her greatest musical achievement. It was helmed by her, with the assistance of producer and engineer Roy Halee. The cover photograph was taken by David Gahr. New York Tendaberry is also considered to be the second in a trilogy of classic original Nyro records, with Eli and Christmas and the Beads of Sweat on either side. They are all considered musically and thematically similar, although New York Tendaberry is the most intense and stark. In 1969, Nyro was one of the most popular pop songwriters, and various groups including The 5th Dimension, Three Dog Night, and Blood Sweat and Tears had enjoyed hits with her compositions. Thanks to the strong word of mouth trailing her work, New York Tendaberry became her most commercially successful record, peaking at #32 on the Billboard 200, formerly known as the Pop Albums chart. The 5th Dimension reached US #27 in the Pop Singles chart (the Billboard Hot 100) with their version of "Save the Country", while artists including Barbra Streisand recorded "Time and Love".